London carnival funfairs ltd. presents the Fun Fair…. Let the fun begin! 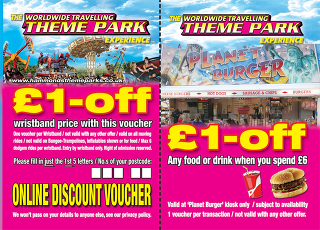 Wristbands are £6.99 which allows you access to all moving rides, a maximum of 8 dodgem rides per person. Wristbands do not include fun houses, games, inflatables, bungees or food. Tokens are also available for individual rides!